Just my luck….I woke up this morning and finally had some inspiration to blog and: Second Life seems to be down and offline for 5 hours as I type this. Oh boo boo boo and meh! So I was surfing around the webz, forgetting I was trying to login and in the middle of some boring article about the on Buddhism inspired interior of Steven Seagal’s home (don’t ask how I got there!) 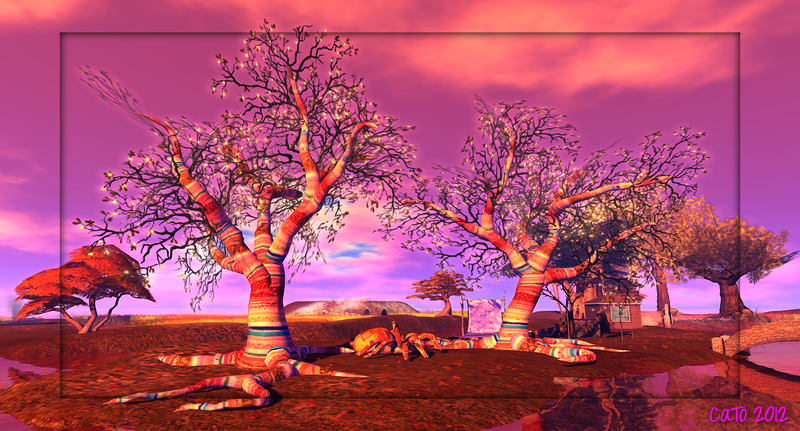 suddenly SL popped on and I found myself inworld! I rushed to Kittens Heaven, on my list to blog about ever since it opened! Kittens Heaven is a new sim, owned and lovely decorated by Isabelli Anatine. It is her dream come true and that shows. Apart from some residential parcels, the whole sim is open to the public and oh joy for photographers: Isa has building enabled for some minutes, enough to rez your own props and snap away! I wish more sim owners did that, if only for 5 mins. Anyway, Kittens Heaven also has a wonderful, warm, café with so many poses in the furniture and lots of details, a great place to have some breakfast (try the waffles!) and coffee. There are also events (DJ). The rest of the sim is worth exploring. Many secluded spots, and at this moment it’s in Autumn decorations, but knowing Isabelli, she will for sure turn it into a winter wonderland when the time gets there. I could take two photo’s before I got logged out…but hey, you should go visit yourself! Cozy café, great to hang out! 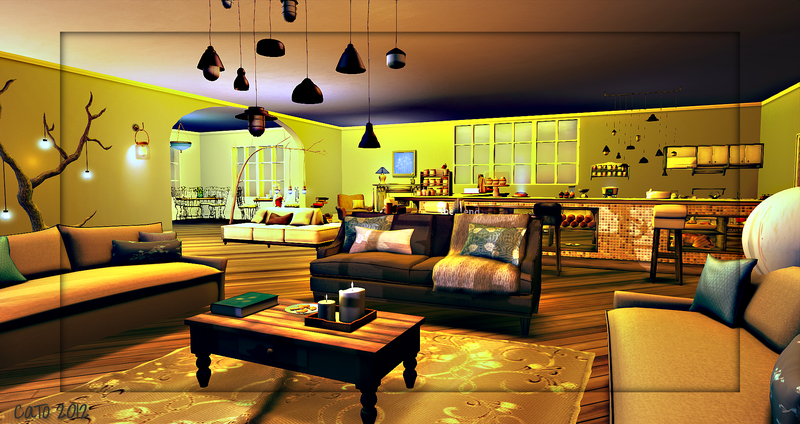 Editted this blogpost on 29 march 2013, this location is not longer available: Kittens Heaven has moved to a new sim! Click here for new details! Thank you so much for share it Cait!